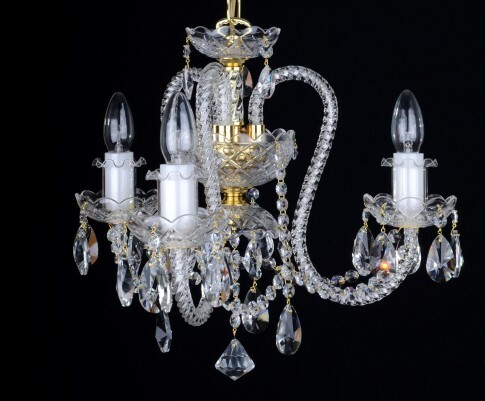 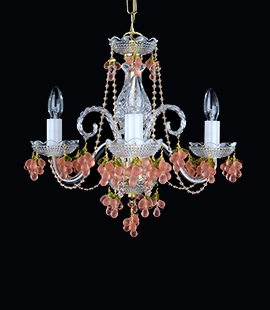 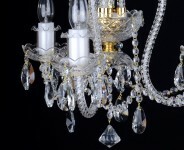 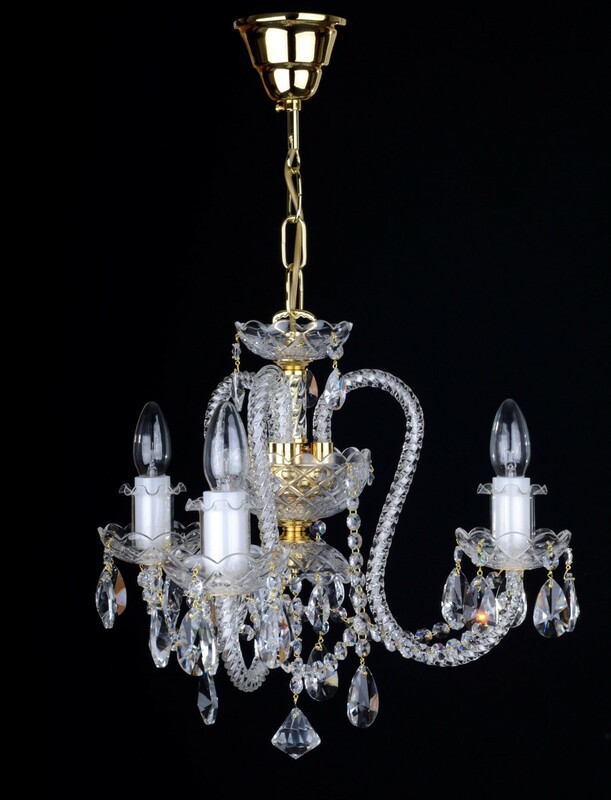 The crystal chandelier with 3 long glass arms and crystal almonds. 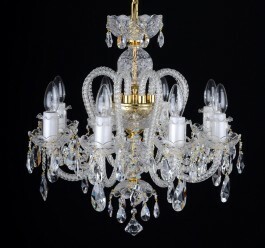 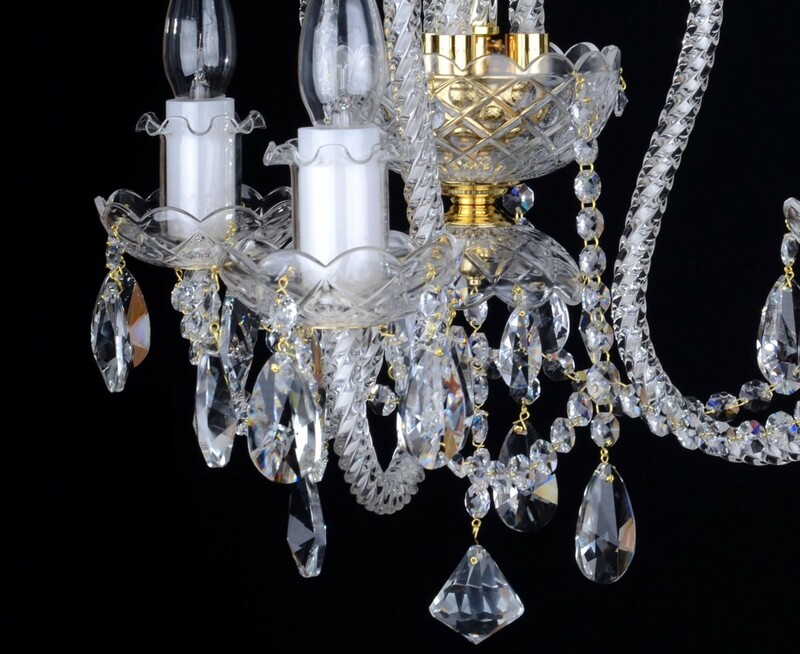 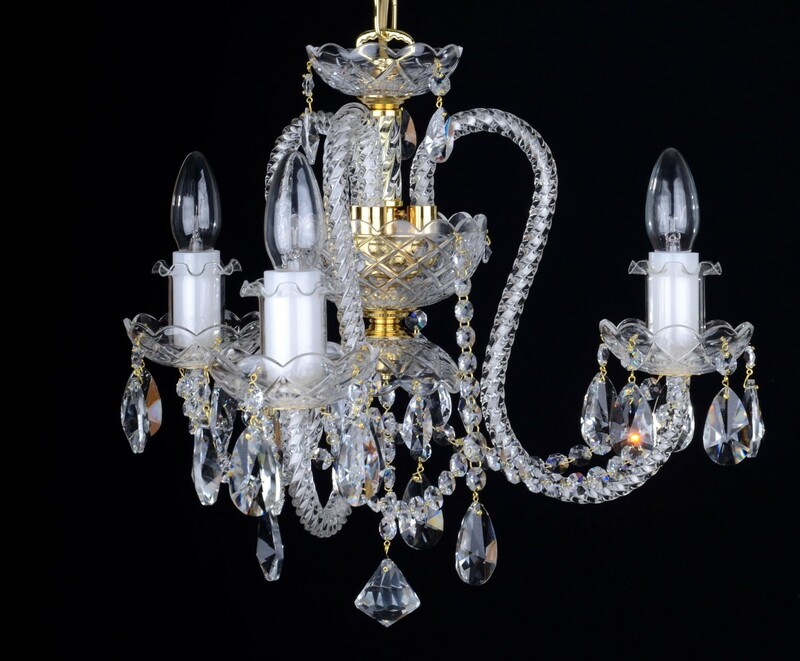 The design glass crystal chandelier with 3 profiled twisted glass arms. 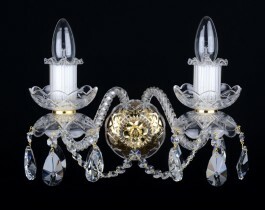 Dimensions (W x H): 48 x 37 cm/ 19.6"x15.1"